"Kestrel's new capabilities provide unparalleled data quality and robust reliability when they're most needed," said Shawn Hilliard, business area director of Trimble Monitoring Solutions. "Monitoring earthquakes, volcanoes or natural and manmade structures leaves no room for a delay or data loss. 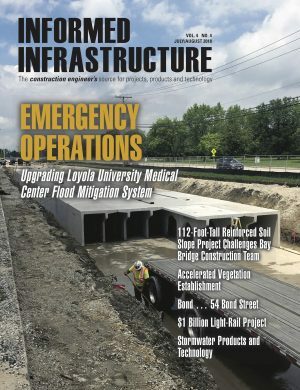 Emergency managers, earth scientists structural engineers rely on Kestrel's data to support real-time decisions to help protect life and the environment." Trimble is transforming the way the world works by delivering products and services that connect the physical and digital worlds. Core technologies in positioning, modeling, connectivity and data analytics enable customers to improve productivity, quality, safety and sustainability. From purpose-built products to enterprise lifecycle solutions, Trimble software, hardware and services are transforming industries such as agriculture, construction, geospatial, and transportation and logistics. For more information about Trimble (NASDAQ: TRMB), visit www.trimble.com.